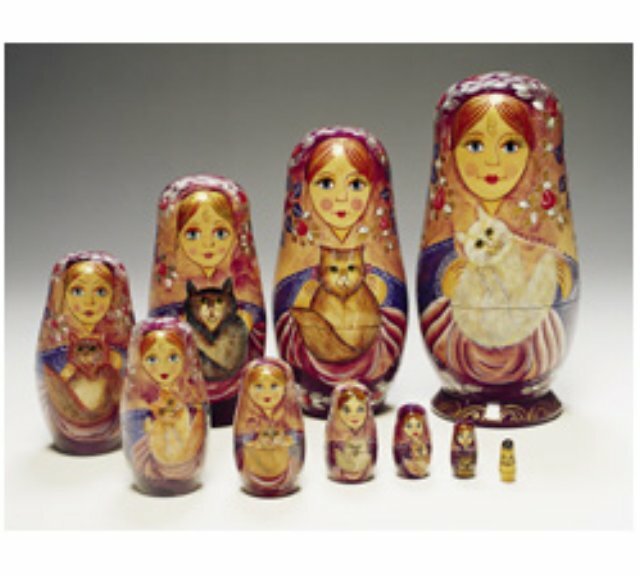 These beautifully hand painted ladies nest inside each other, each holding their precious pet, while the smallest doll hides a teeny cat inside. Tallest doll measures 7 1/2" high. Available in two groupings of your choice: smallest 8 of 10 Dolls or all 10 dolls.